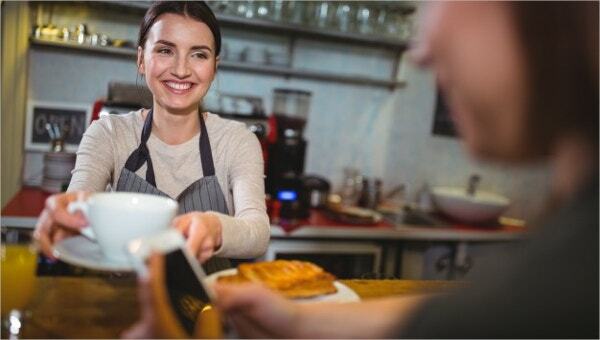 Bussers are also known as bus boys or bus girls, and their primary task is to assist servers and other staffs in restaurants. Bussers are also referred to as dining room attendants or bartender helpers. They help out the wait staff and bartenders at restaurants and other places that serve food. You may also see Managing & Motivating Templates. If you are looking forward to working as a busser in a restaurant, this Restaurant Busser Job Description will help you immensely in understanding the roles and responsibilities that you will have to perform. 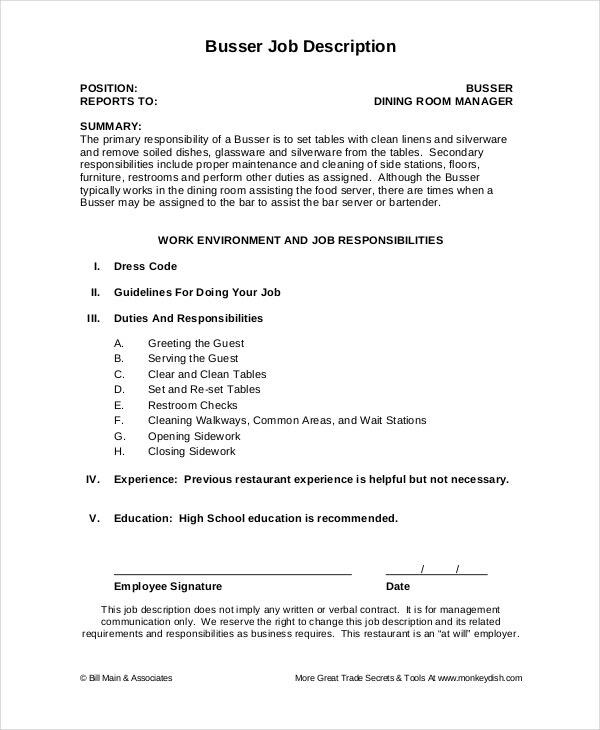 Restaurant owners can also use it to advertise the vacant position of a busser in thir workplace. A dishwasher busser cleans dishes, kitchen, food preparation equipment, and utensils. They need to maintain kitchen work areas, equipment, utensils and also need to ensure everything is clean and in orderly condition. 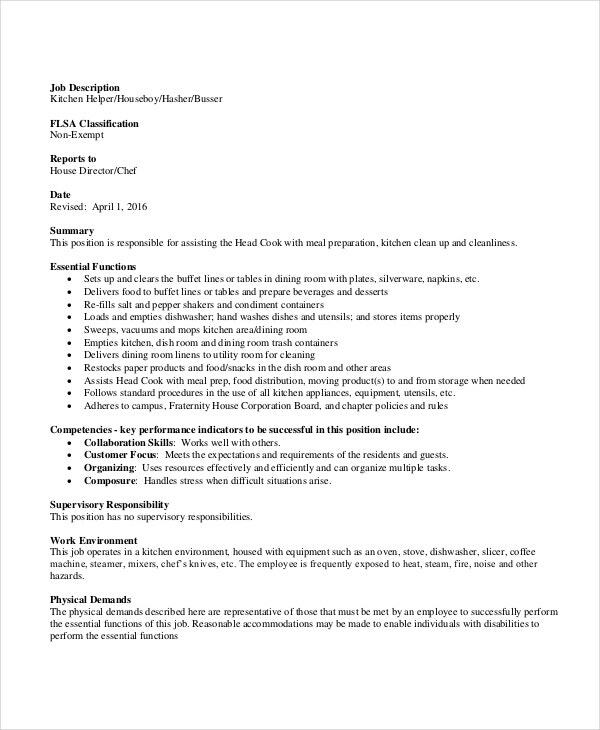 This Dishwasher Busser Job Description will offer you more clarity on the role of a dishwasher busser. 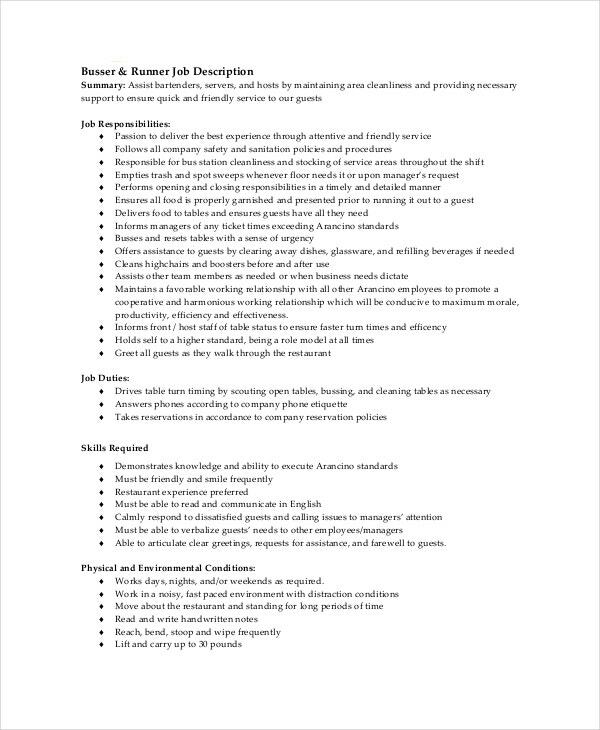 > Who Can Use These Busser Job Description Example templates? 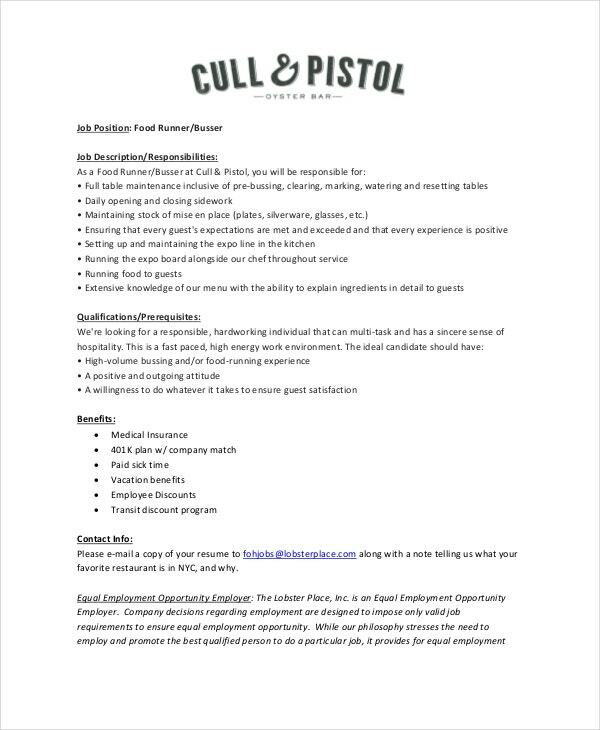 Those who would be interested in working a busser, can go through the job description and see whether they fit into the role perfectly or not. 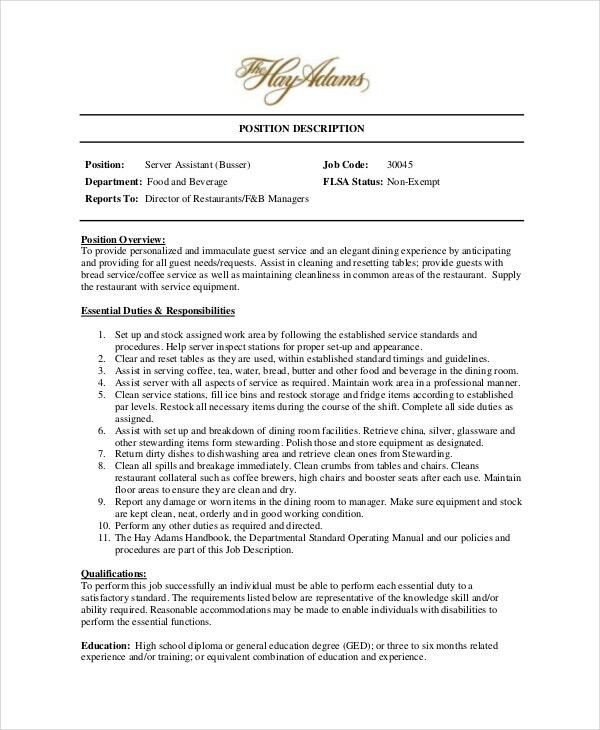 The restaurant or bar owners don’t have to deal with candidates who are not genuinely interested in the job. The restaurant or bar owners can also advertise the vacancy for a busser(if any) at their restaurant. The primary responsibility of a table busser is to ensure that empty tables are ready to receive new guests. When guests depart, it is the table busser’s responsibility to clean the table and make it ready so that new guests can use it. 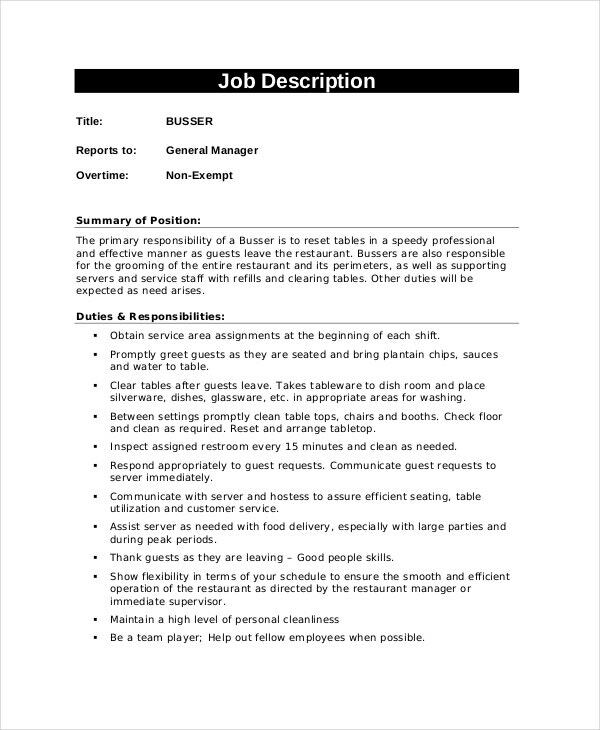 You can download the Table Busser Job Description template for a better understanding of the role of a table busser. 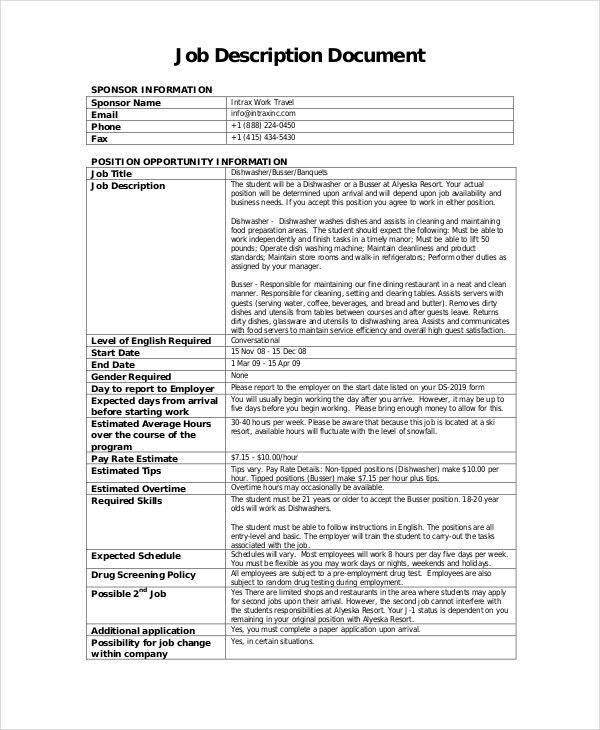 > How Can You Use These Busser Job Description Templates? 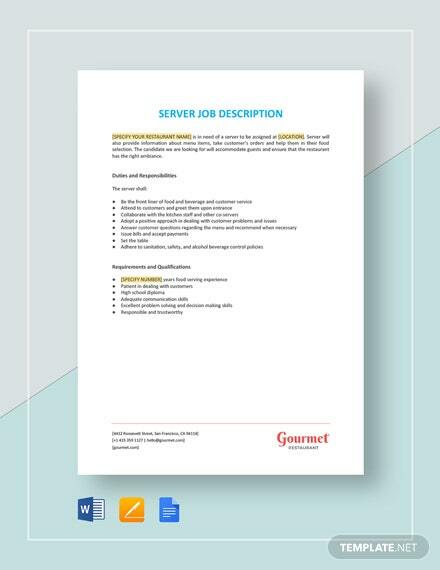 We have a vast collection of Busser Job Description Templates, and you should go through the various templates to get a better understanding of the various tasks that bussers perform day in and day out. You should select the best template that suits your requirements. 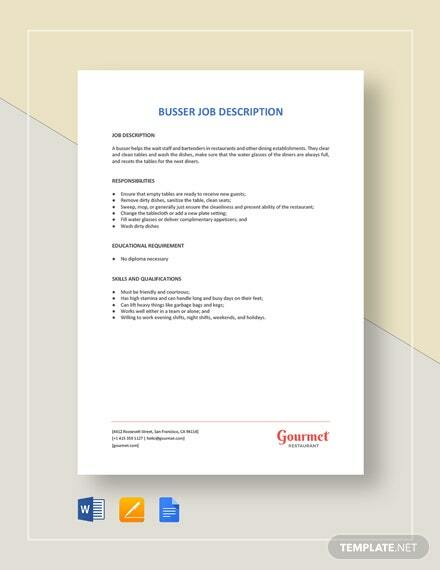 A busser resume is a useful tool for the candidates to display their skills to the prospect employers. 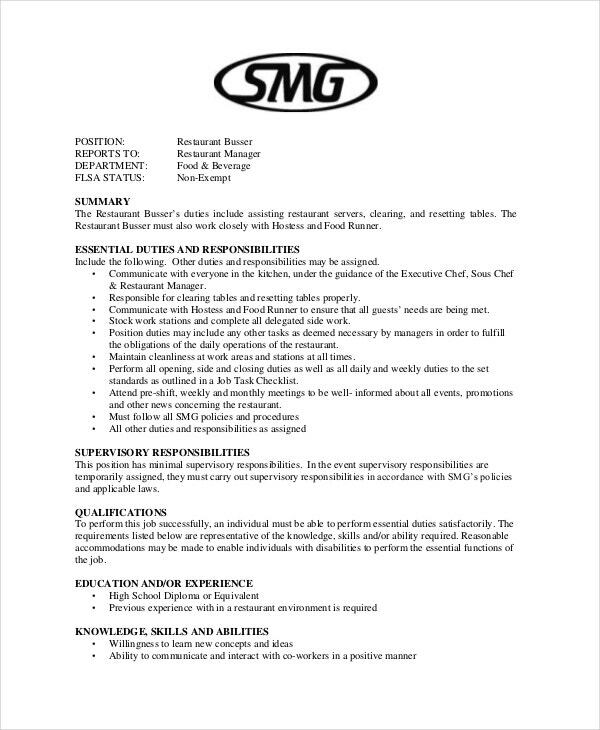 If formatted well and arranged logically, you can expect interview calls for busser job position. 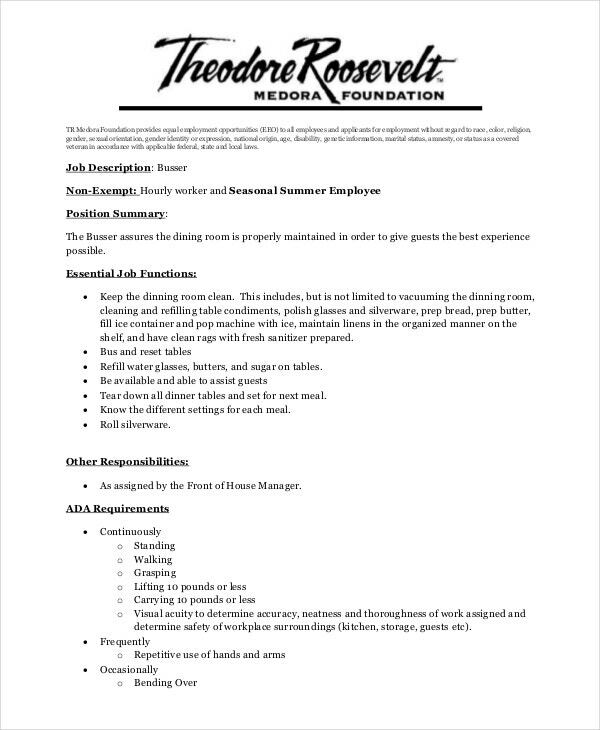 You can take help of these busser job description templates while preparing your resume too. 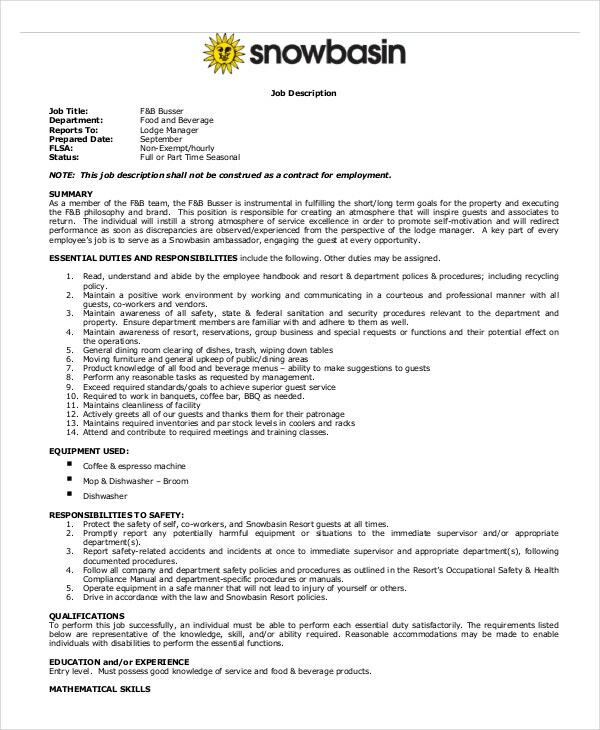 It will surely create interest in the mind of the employer after looking at your resume.